ZOO has been renewed for a second season, CBS announced. ZOO will return for its next summer run in 2016. Are you excited for more ZOO? 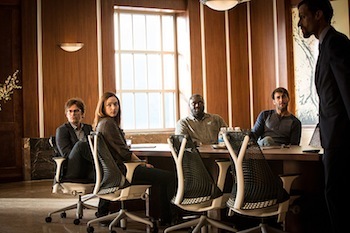 ZOO took a big step at the end of the last episode as the series brought its five leads together to tackle the changes in animal behavior as a cohesive group. But the humans won’t be the only ones teaming up — soon, the animals will start to communicate with each other in new ways. 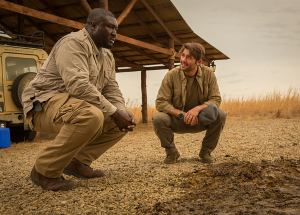 “It’s subtle when it starts to happen and it’s very cool,” ZOO star James Wolk (Jackson) told reporters at Comic-Con. In the first two episodes of the new CBS drama, ZOO, the show has very much been about setting up the changing landscape. Though viewers have witnessed the abnormalities in animal behavior, they have, so far, been fairly low-key. The different breeds of animals have been doing strange things (hi, a whole lot of cats in the trees), the changes have thus far been baffling to the people in the know, versus requiring immediate action. And while much of the action has kept the characters on separate sides of the world (Jackson/Abraham in Africa; Chloe, returning to Paris, after a near-deadly experience in Africa; while Mitch and Jamie are in Los Angeles), they will come together sooner versus later. CBS has launched a new scripted series each of the past few summers (UNDER THE DOME — based off the Stephen King book — just kicked off its third season, while EXTANT’s second season is around the corner), and for its 2015 freshman installment, the network went to another property based off a best-seller: James Patterson’s ZOO. Just like the book, the television series follows the puzzling — and dangerous — shift in animal behavior, as collectively they turn increasingly aggressive…and deadly. But while some of the television characters share the same names as the book characters, they exist in two separate worlds. CBS’ latest book-to-summer series adaption is the James Patterson novel, ZOO, but while the premise remains the same — worldwide, animals turn against humans, and a team of scientists attempt to figure out how to stop it — things will deviate from the source material. CBS is expanding its summer lineup with the straight-to-series order of ZOO, based on the James Patterson novel of the same name.